The Got Mike! Fund is a sub-group of the board of directors for Networks for Training and Development, Inc. (which is classified as a 501(c)3 American tax-exempt, non-profit organization), and as such can accept charitable donations. Any and all donations are appreciated and help us to continue perpetuating Mike's passions and dreams, and providing opportunities for individuals with disabilities to live full and prosperous lives. Lebanon, PA-based Buffalo Bills Premium Snacks is helping to raise funds for our organization! We are now accepting donations to support the Butterfly Effect / BE the Effect Foundation! We are excited and thrilled by our collaboration with the Butterfly Effect / BE the Effect Foundation. We are helping to support their work of empowering women through water sports, increasing environmental awareness / education / community give-back, and helping to make sure that the activities encourage the participation of all women despite ability, disAbility, or life situation while also offering our help in further developing the non-profit work of the Butterfly Effect / BE the Effect Foundation. 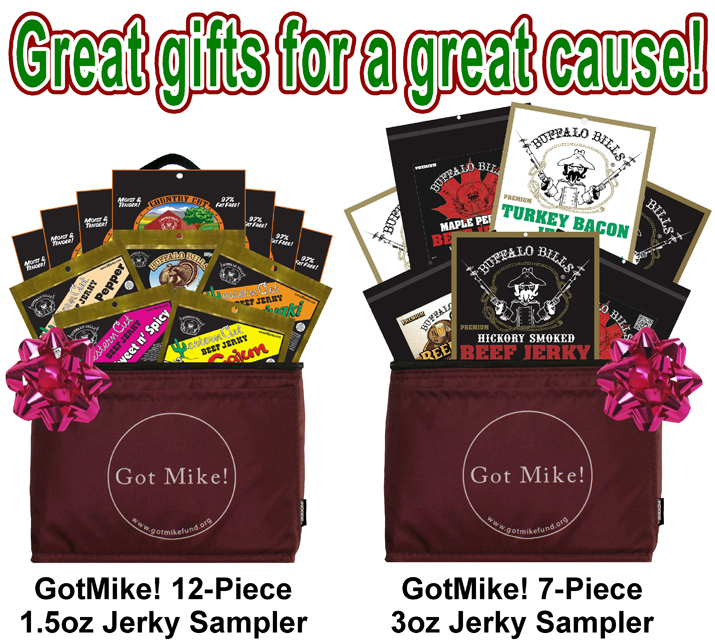 To this end, we are honored to accept donations to the Got Mike! Fund to support Butterfly Effect / BE the Effect Foundation activities! To donate to the Butterfly Effect / BE the Effect Foundation, please follow the general donation instructions above and include a message directing your donation to go to the Butterfly Effect. To find out more about the Got Mike! Fund and learn how you can get involved in any of our events, please email us. You can now sign up for Amazon Smile and designate a portion of your online purchases to be donated to the Got Mike! Fund! The Got Mike! Fund is proud to announce our collaboartion with the Butterfly Effect / BE the Effect!